Stock status is current as of 4/23/2019 7:56 PMET. A tablet that's built for business. 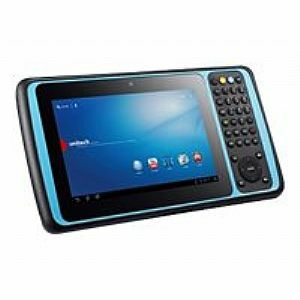 The tough TB120 tablet features a 7" damage-resistant touchscreen, integrated keypad, and magnetic stripe reader to streamline businesses everywhere. The intuitive interface unlocks the TB120's full potential with only minimal training. The beautiful and responsive 7" touch screen connects you to key stock and price information without sacrificing space for a soft keyboard. Functional and stylish, the Gorilla Glass III screen is sturdy and scratch-resistant but also thin and responsive. Designed from the ground up to take what your business throws at it. The TB120 is immune to workplace accidents such as tumbles and liquid spills. The rugged tablet is sealed against warehouse dust and resists repeated 4-foot falls - even to concrete. Drop it, spill on it, take it on a shaky truck: the TB120 withstands the wear and tear of business as usual and helps you avoid costly repairs down the line.